YOU DESERVE JUSTICE. LET US HELP. It is much easier to get a Judgment, than it is to collect it. Stop wasting time and money chasing the debtor around and trying to maneuver the Court system. Maybe you have decided to just let it go to avoid the hassle. Whatever your situation, you deserve justice. There is a statute of limitations to collecting your Judgment, so don't wait. If you do not properly act on your claim, it could expire. Marley, Hunter & Winston will assess your Judgment at no cost, and if it meets our purchase criteria, make you an offer. The cash goes to you and you can leave the hard work to us. 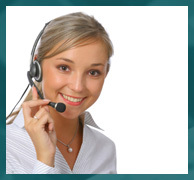 We know the ins and outs of the legal system and collecting from the non-paying debtors is what we do best. We will hold the debtor accountable for what they owe! Our recent experience was OUTSTANDING! Your company was efficient, polite and professional. We thank you and will recommend to anyone looking for the same type of service. 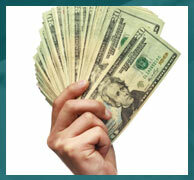 "When I won my small claims lawsuit, upon leaving, the judge's assistant said "good luck collecting the money". It was as if she issued me a challenge. I knew that 90% of the money awarded is never collected and I knew I didn't have a chance by myself. Determined to beat the odds, I found Marley, Hunter and Winston on the internet and I called them. They made it easy, simple, quick and painless! I highly recommend their services. They are the best!" © 2009 MARLEY, HUNTER & WINSTON, LLC - FLORIDA, MICHIGAN, U.S.A.
Disclaimer: Marley, Hunter & Winston, LLC is not a Law Firm. None of the content on this website is intended as legal advice. Please do not contact us asking for advice on how to collect your own judgment. 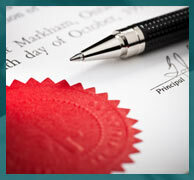 If you are seeking legal advice, you should consult qualified legal counsel.